You searched for which does not fit your . We've redirected you to 100-3470, which has the proper fitment. 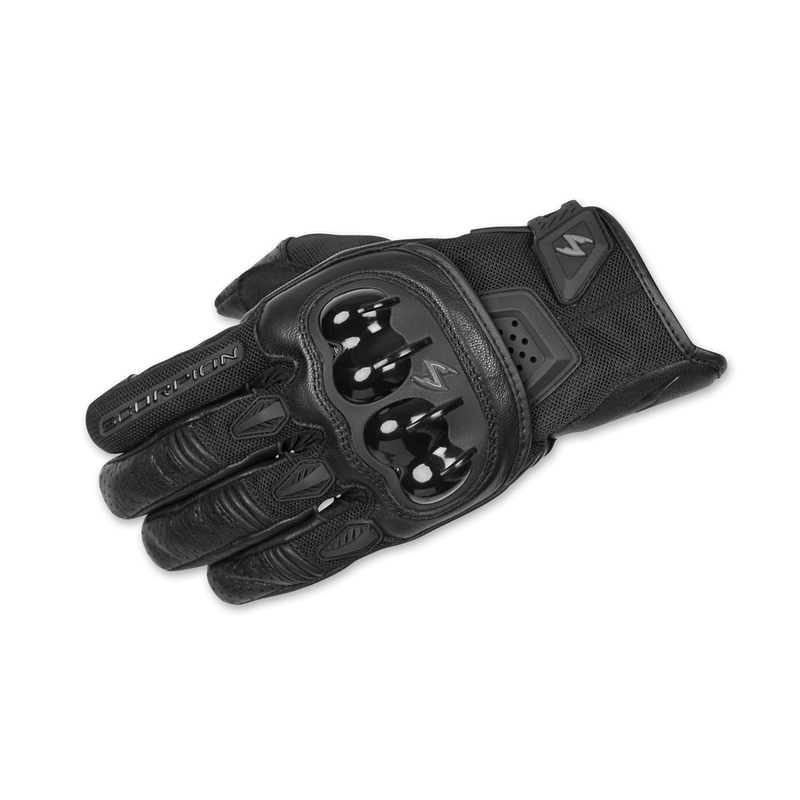 For a short cuff, leather palmed glove, Scorpion Talon Sport Gloves deliver maximum ventilation for warm weather riding. The palm and fingertips are full grain leather, with gripping zones of Nash synthetic leather for extra grip. The back and the areas between the fingers are made with durable, breathable mesh to avoid clammy hands. The hard TPU knuckle protector, plus padded areas on the wrist and fingers provide protection whether you're riding on the road or off.